Choosing a children’s entertainer or magician for your child’s birthday is not an easy task. With so much choice, how do you separate them? Well, at Ready Steady Magic, there’s one key difference. I offer the chance to experience a REAL MAGIC SHOW! I’m passionate about magic, so I promise not to sell you a magic show then spend half the time performing with a puppet! Neither is this the same old – same old tricks that the children have seen before. I design all of my magic routines myself, meaning you get a one of a kind enchanting magical experience that the whole family can enjoy. So, sit back, relax and enjoy the show with your children. After all, this should be a treasured family moment, not a chance to keep the kids quiet. Trust me, I won’t be keeping them quiet! ⭐ Enchanting storytelling and magical tales! ⭐ Bring the WOW factor to your party! 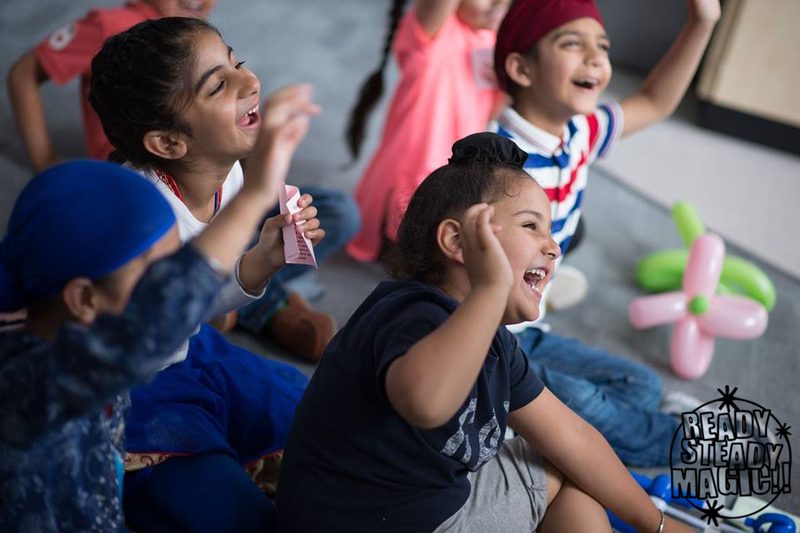 ⭐ For older children, combine with a workshop! ⭐ Fill the party with laughter! 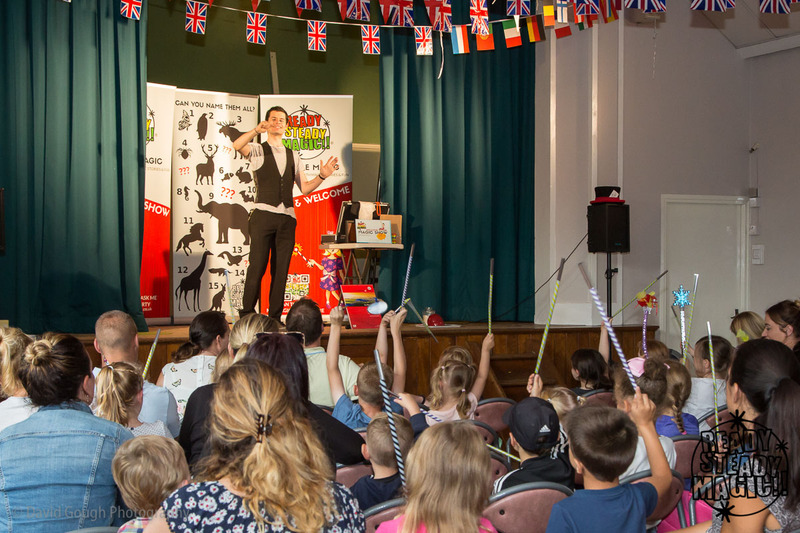 The Ready Steady Magic Show has been honed over thousands of performances in front rooms, village halls, church halls, stages and even on television. 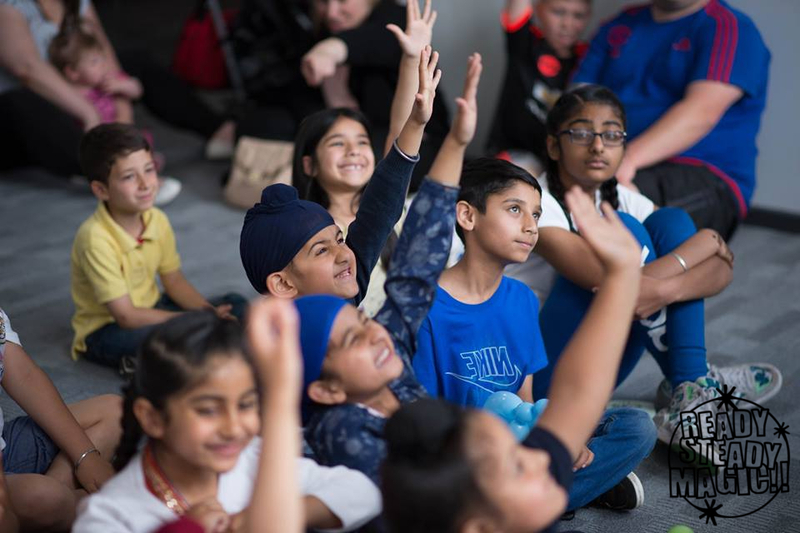 It’s perfect for birthday parties for children aged 5 to 8, where it’s a fun comedy magic adventure, or for those aged 8 – 11, where it becomes a sneaky sneak behind the magicians’ curtain! 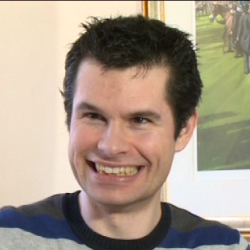 I currently cover Lichfield, Sutton Coldfield, Wolverhampton, Stafford and places sort of around there. Finally, take a look at some of the pictures from previous birthday parties events! Don’t forget your camera. By choosing my magic, you’ll be able to get great photos like these taken at a birthday party in Wolverhampton. Magic is just perfect for Birthday Parties. 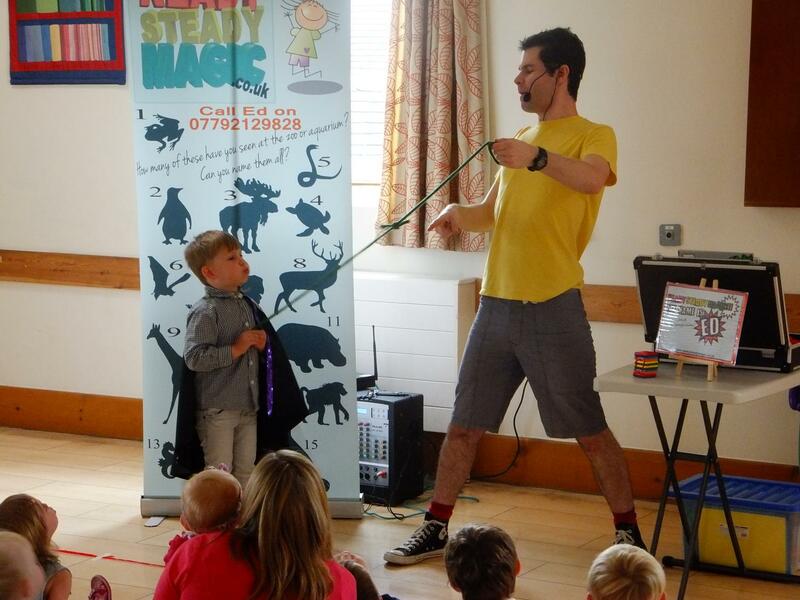 This is me performing one of my magic routines at a special birthday magic show near Sutton Coldfield. No-one is left out. 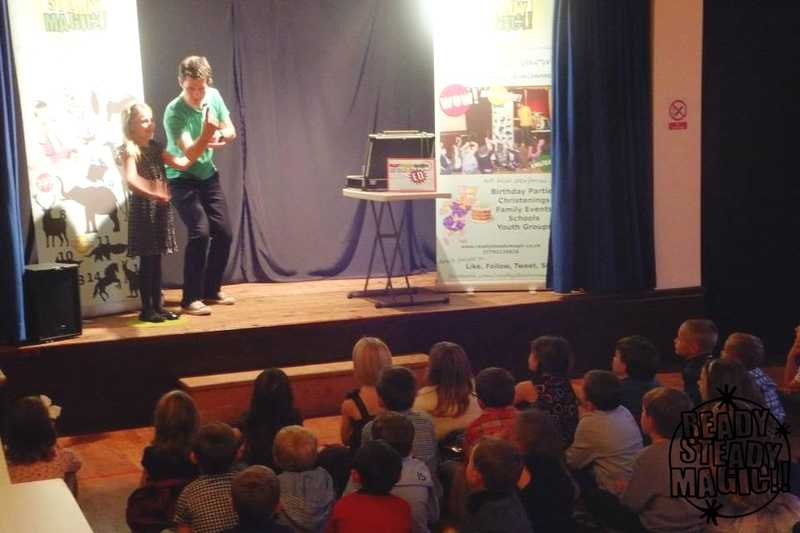 In fact, the children are able to be involved throughout the show, both on stage and in the audience, just like at this magic show near Stafford. All of the family are invited to watch the show, just like these parents watching with their children at a show in Lichfield. Don’t worry, I never embarrass any adults.